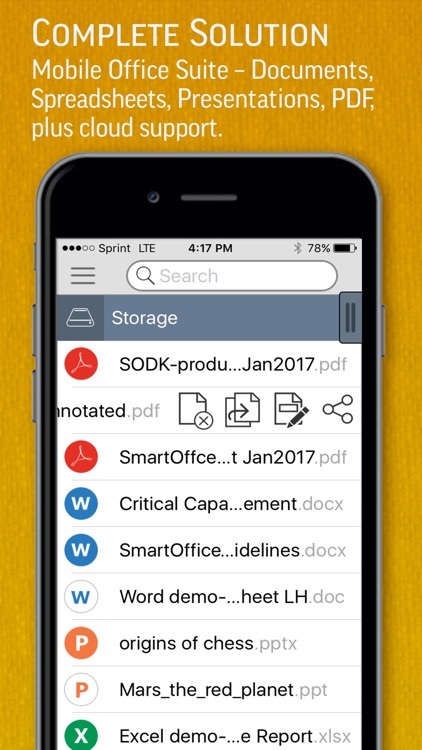 View, create, edit, and share Office documents with this productivity app. 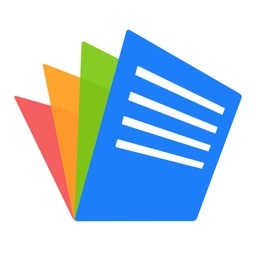 SmartOffice is an intuitive, easy-to-use document editing application with a sleek UI inspired by the familiar UI of a desktop Office document. It’s for business professionals and students who want to be more efficient while on the go. Sometimes Smart Office 2 can be a bit finicky, so you’ll have to be patient or look for something else. 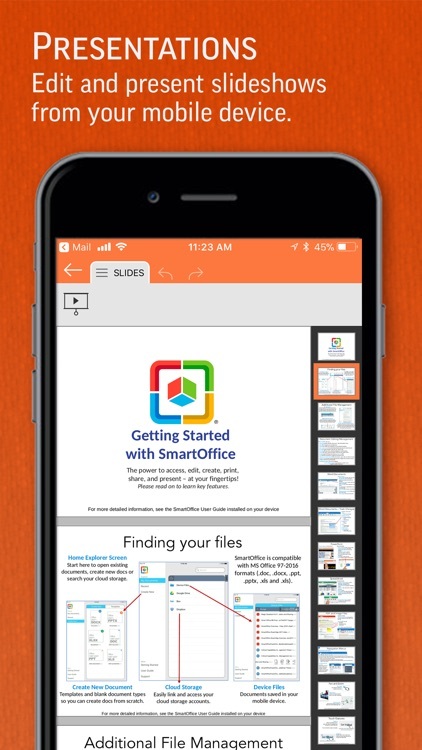 If you need to create content while offline and traveling, definitely check out Smart Office 2. 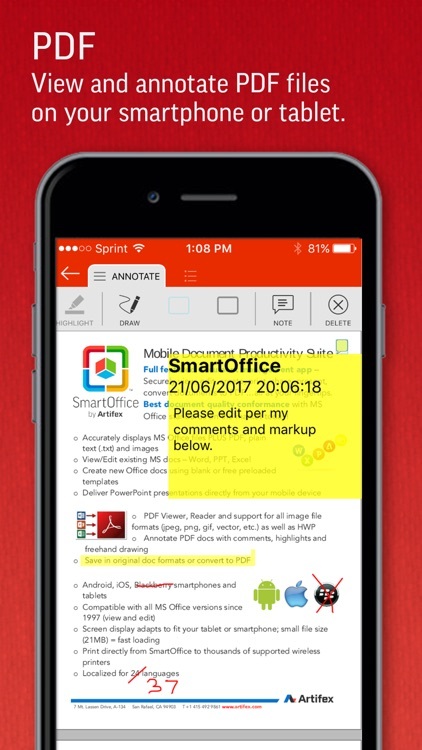 SmartOffice empowers users to view, edit, create, present and share MS Office documents directly on or from their mobile devices. Our small file size and screen display that adapts to fit your smartphone or tablet make SmartOffice the perfect match for today’s mobile world. •	PRESENTATIONS: View, edit and present slideshows on your mobile device. 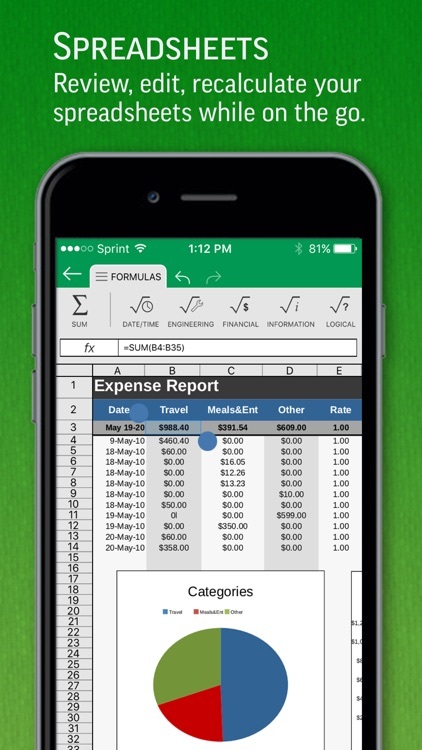 •	SPREADSHEETS: Review and edit budgets, expense reports and more while on the go. ∗	PRINT: Wirelessly print to thousands of supported printers, including AirPrint. 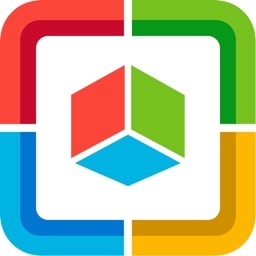 •	View, edit, create, share, save and print MS Office documents quickly and securely. 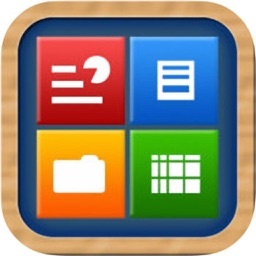 •	Password Protection Support (Office files): Open, view, edit and re-save encrypted Office documents on your device. •	Cloud support: Open and save documents to the cloud with effortless synchronization with Box, Dropbox and Google Drive. •	Paragraph Formatting: Indent, align, bullets, numbering. •	Insert images, shapes, and graphics. •	Support for tables, shapes, charts (display). •	Reflow mode for easier reading on a small device. 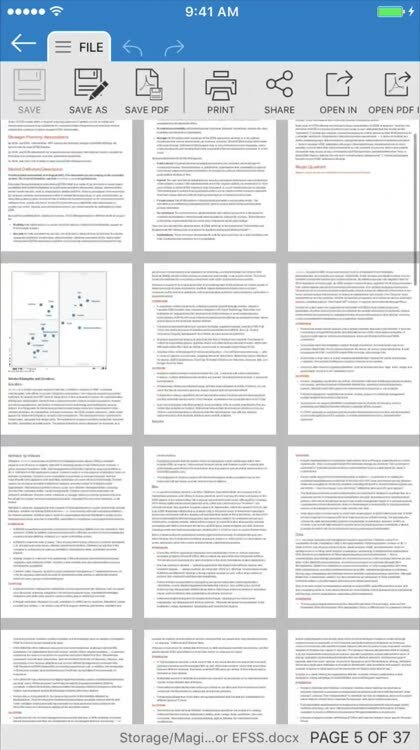 •	Comprehensive text, paragraph, and content formatting. •	Slide management and reordering. •	Cell Formatting Options: Cell size and alignments, cell/column/row inserts and removal. •	Multiple Cell Types: Numeric, date, time, currency, fraction, percentage, scientific, and more. 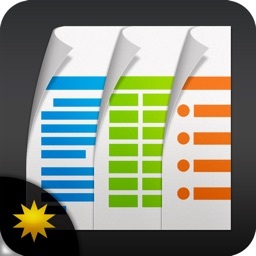 •	Multiple Worksheet Support: Add and delete sheets. •	Chart display and a wide range of formulas. 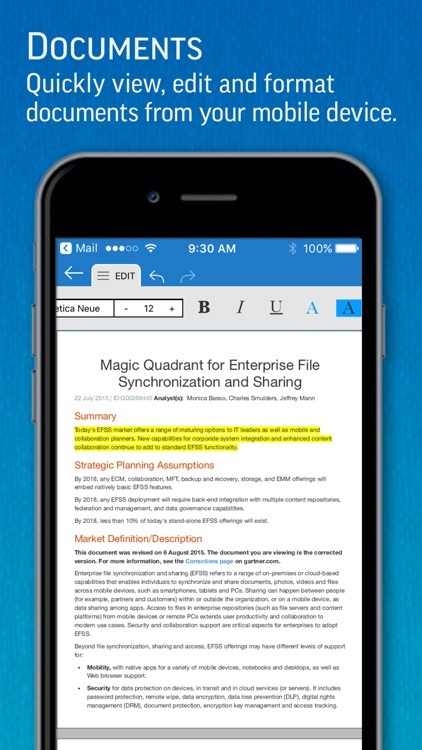 •	View, annotate, highlight and share PDF documents. •	Convert, export, save Office documents to PDF format. •	Wireless printing supports thousands of printers including AirPrint. •	Microsoft Office: Word, PowerPoint and Excel 97, 2000, XP, 2003, 2007, 2010, 2013, 2016 – doc, docx, xls, xlsx, ppt, pptx (view & edit). 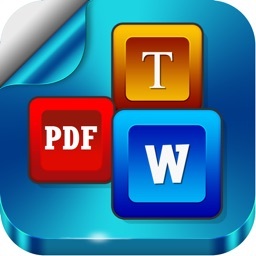 •	PDF Viewer, PDF Reader, Convert to PDF. •	JPEG, PNG, GIF, TIFF, BMP images (view); HWP (view). •	Vector WMF and EMF diagrams (view) . ∗	Application localized for the following languages: Chinese (Simplified), Chinese (Traditional), English, Japanese, French, German, Italian, Korean, Polish, Portuguese (Portugal), Portuguese (Brazil), Russian, Spanish (Spain), Spanish (Mexico), Hebrew, Dutch and Turkish. ∗	View documents in the following languages: Arabic, Azerbaijani, Chinese (Simplified), Chinese (Traditional), Czech, Danish, Dutch, English, Faroese, Finnish, Greek, Georgian, Hebrew, Hungarian, Italian, Japanese, Korean, Kurdish, Latvian, Lithuanian, Maltese, Norwegian, Polish, Portuguese (Portugal), Portuguese (Brazil), Russian, Scots Gaelic, Slovak, Slovenian, Spanish (Spain), Spanish (Mexico), Swedish, Turkish, Vietnamese and Yiddish. 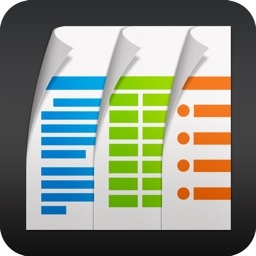 Today’s AGF list includes a life logger, a platformer, and a document creator. Today’s AGF list includes a business app, an action game, and a camera.